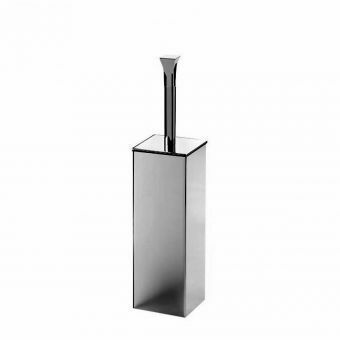 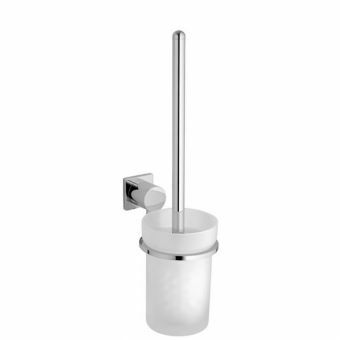 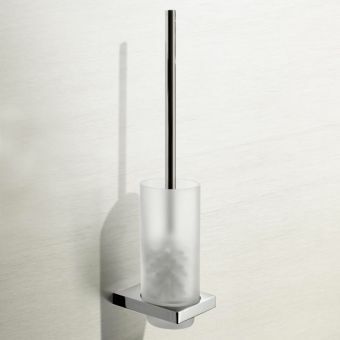 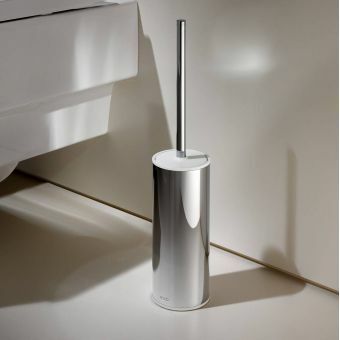 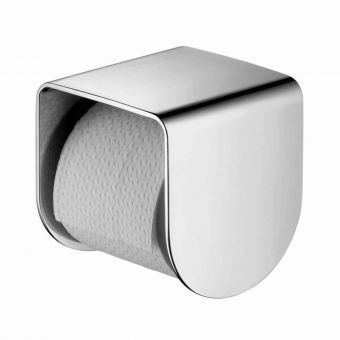 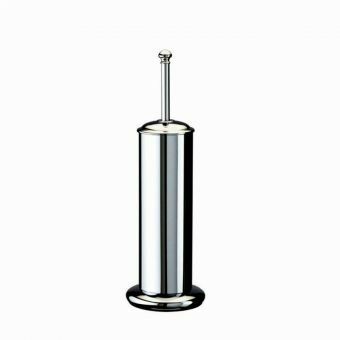 High performance and sleek designer contours are typical of AXOR's accessory ranges and this stunning high quality toilet brush holder can provide a completely coordinated look when combined with other pieces from the Urquiola range. 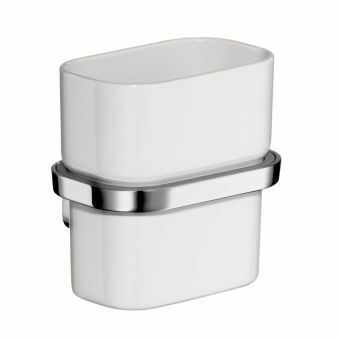 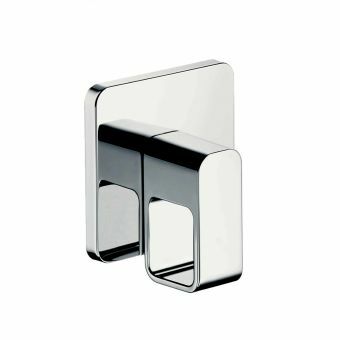 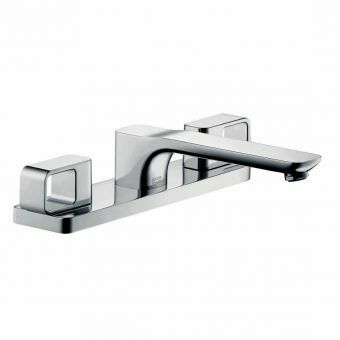 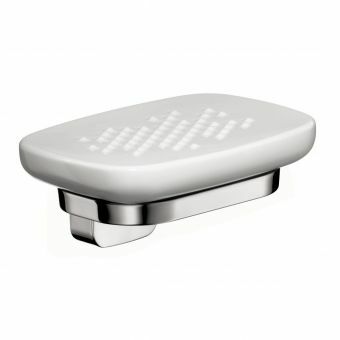 Bearing a sleek modern look with a sophisticated square profile, the holder is made from tough chrome plated brass with an inner opal glass insert which can be removed for cleaning. 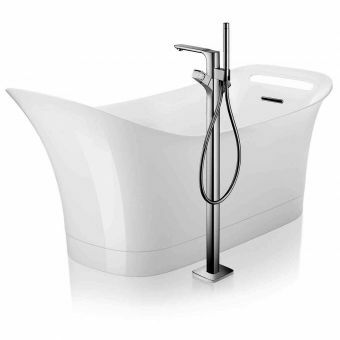 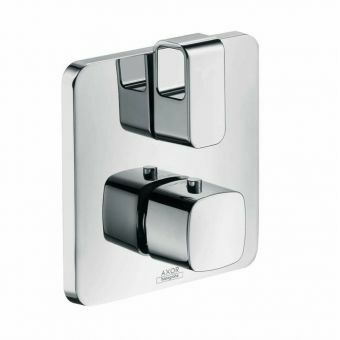 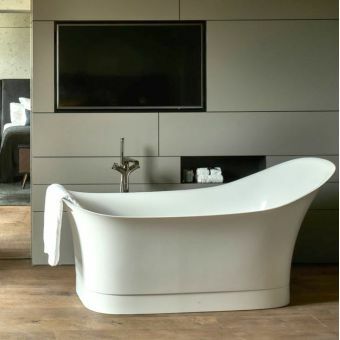 The wall mounted design is typical of AXOR accessories giving the installation a neat flush design. 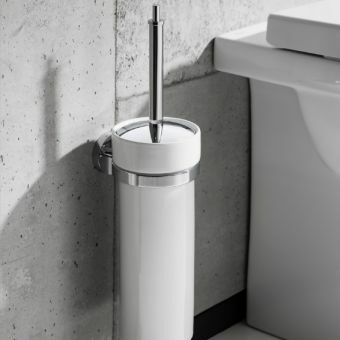 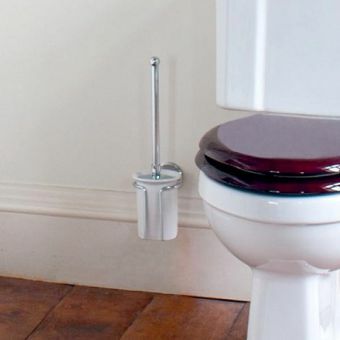 The handle allows for easy removal of the brush which comes with tough, stiff bristles for complete cleaning of the toilet bowl. 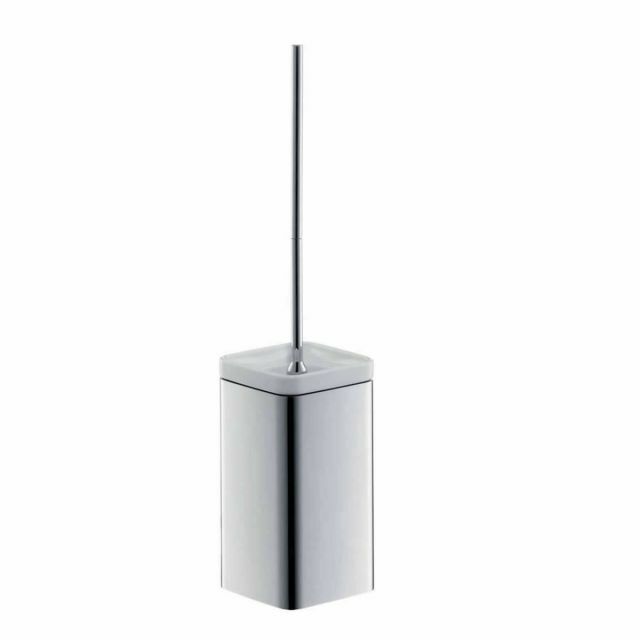 With compact dimensions of 94(w) x 104(d) x 180(h)mm, it should easily fit next to most toilets. 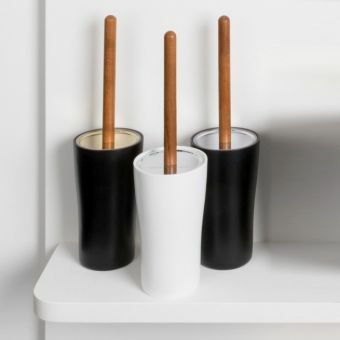 We offer the option to purchase a spare brush head one at the same time that you buy the holder so you will always have a spare handy in case the first one wears out.